We have a rich legacy to be proud of. A journey that dates back to 30 years, with many successful projects and socially concerned initiatives on board. 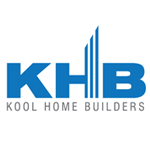 Kool Home Builders - the Indian counterpart of Gama Constructions, Dubai is supported by a trusted group of NRIs, having diversified presence in sectors like construction and education across Middle-east. The organization is helmed by a team of senior professionals who believe in partnering trust and commitment in creating a future that upholds a vision of limitless possibilities.